In the year 2004, the CRHF began the construction of a community clinic in La Carpio and, with the help of Dartmouth College students, completed phase one of a permanent facility to provide care for the health of the community members. In the beginning, we were seeing nearly 40 patients per day. In the year 2010, we were able to close down this traditional health clinic since the government health care improved, people’s health was stabilized and the population was not in such dire straits. 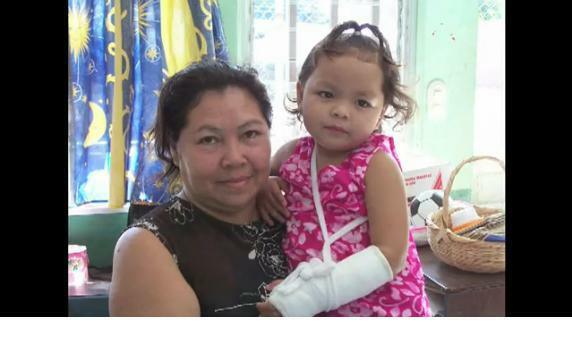 We now coordinate closely with the government clinic and assist them with health fairs and special needs. Thus, the ultimate goal of any NGO has been met – that of transitioning out of a program so that local governments and populations can take charge of their own needs. Our clinic building was later converted into a holistic health center, which provides peer counseling and massage services, complete with aroma therapy and music relaxation. As of 2014 the building downstairs where the clinic was set up, is now used as a library and early age stimulation center for children from the area. The Foundation now takes a more active approach in different communities, coordinating with medical students, volunteers and community leaders, in order to set up clinics in parts that most need the services. We offer visitors general medical check ups and recommendations. We are also encouraging preventative health, including dietary recommendations and exercise habits. 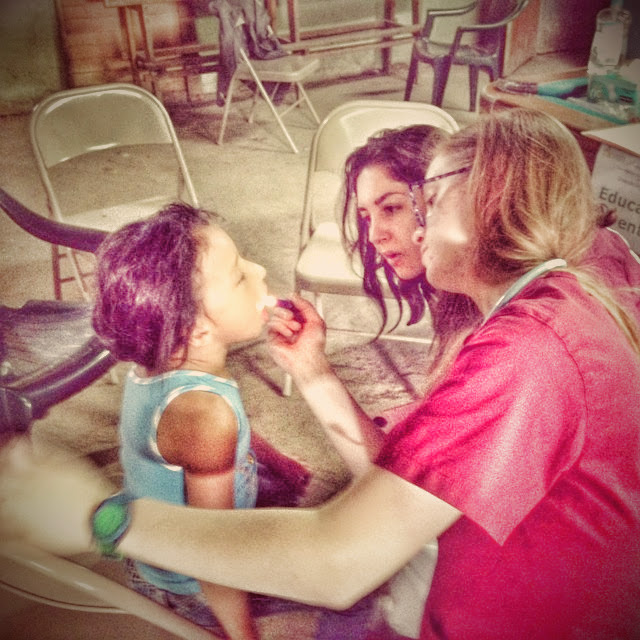 Nursing students check on this young girl’s dental health in la Carpio.